Product #16169 | SKU Z-CLS | 0.0 (no ratings yet) Thanks for your rating! The Canon Lens Support from Zacuto is designed to support Canon Cinema Prime EOS mount lenses on your LWS 15mm rod camera rig. 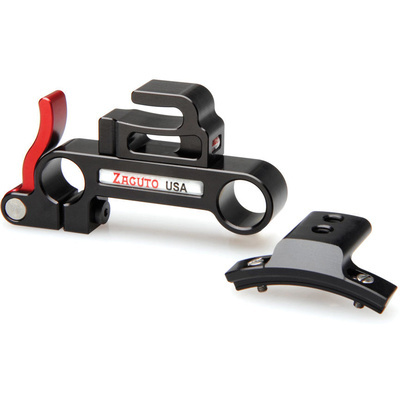 The lens support utilizes a "hook and foot" mechanism with a quick-release rod mount. The rod mount hook slides onto your 15mm rods, while the lens support foot screws onto the bottom of your lens. Once attached to your lens, the support foot wedges into the hook to provide firm, stable support. The lens support includes four support feet.